Get out your scorecards, and your best pajamas, IT’S THE ACADEMY AWARDS! Night of a thousand stars, a dozen bad dresses, a host who will be judged by his ability to keep us awake until the end. I love this show, with its crimson catwalk. I love it, I tell you. I don’t even care that it’s snowing (again) today. It’s the freaking Academy Awards! I am a movie addict. I am a film fanatic. Like Peter Sellers as Chance the gardener in Being There said, “I like to watch.” Truth. Whether it’s in my den, with blankets and pillows, and dimmed lights, or in my bed with the comfort of my Sealy Posturpedic foam topped mattress, Riley by my side, With my husband, or my sister (two other major movie people), or whoever will indulge me, I’m always ready to go to the movies. Of course, the best place to be a viewer is at the actual movie theater. Big screen, salty popcorn, PREVIEWS. And my favorite of those theaters is the Super Lux in Chestnut Hill, where you can eat a real (and pretty decent) meal, served to you by a waitress, have yourself a cocktail, and munch on unlimited popcorn, WHILE YOU RECLINE YOUR SUPER PADDED SEAT. This is my idea of a retirement home. Anywho, let’s make some picks, shall we? I’ve seen them all this year, which isn’t usually the case, so I’m feeling adequately informed enough to say that I think Birman should win, but Boyhood might win. Birdman captured me. 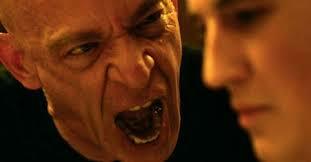 There was an immediacy to the camera work, that engaged me from the second it started. I thought this movie was film at its very best. 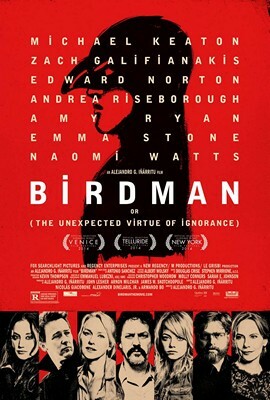 Edward Norton was dynamic and gave a powerful performance. Emma Stone was a standout. And Michael Keaton was the perfect guy for this role (I mean, it so beautifully mimics his real life). This wasn’t just a story of a movie star looking for legitimacy, it was everyone’s story of looking for legitimacy. I think this is the biggest and most competitive category of the night. Every one of these performances was stellar, and in my opinion in every case, better than the movie itself. 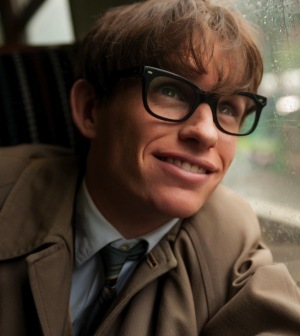 But I think one performance stands above the rest, and that’s Eddie Redmayne’s turn as Stephen Hawking in The Theory of Everything. His ability to give us a full picture of a man losing control of his body and voice, but keeping his brain, and sense of humor, was not just the theory of everything, it was everything. I haven’t seen Two Days One Night, or Still Alice, but I’m going to go with Juianne Moore, because I have heard buzz that she is spectacular. I just have a feeing she’ll be the one on the stage. But from the movies I did see, I would give it to Felicity Jones. I think she was brilliant. Damn, this is a tie for me between Edward Norton and JK Simmons, with Simmons edging Norton out because I feel like he had more screen time. Kind of amazing Simmons is in the BSA category, since his role was pretty large. Both these performances were one for the books. I liked Boyhood fine. I didn’t love it, but I do recognize that making a movie over 12 years is not only a really cool and innovative idea, but also probably pretty hard. I think Patricia Arquette will walk away with the little gold man, but I would probably give it to Emma Stone. 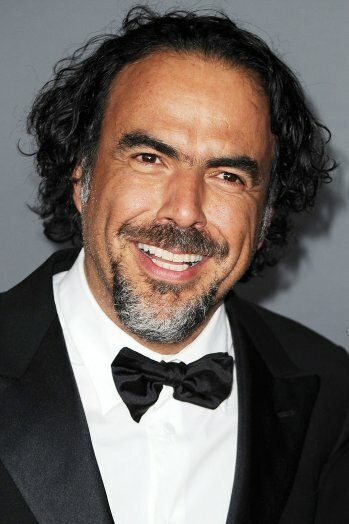 No question marks for me here, I would flat out give it to Alejandro González Iñárritu for Birman. This felt the most innovative and interesting directing to me. I wouldn’t be surprised if Richard Linklater took the prize though, working on a film for 12 years is a pretty Oscar-worthy accomplishment. Lastly, my friend Melanie posted this on my FB wall yesterday. Pretty cool, right? As you can imagine, I will be watching the red carpet carefully for my who-really-cares-what-I-think fashion review tomorrow. And now, on with the show (only 9 more hours until the carpet, I’ve got to do my hair). 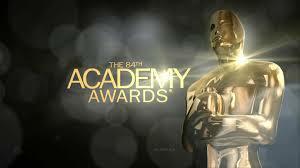 Should be a really great Oscar night..an amazing year of movies & performances. And those hours of red carpet fashion will feel like an endless yummy dessert buffet! A+ on your picks, Toni!